Mobile ad hoc networking solution enables reliable communications, situational awareness. Persistent Systems, LLC (“Persistent”) announced today that its MPU5 smart radio performed well during the March 15-25 Urban 5th Generation Marine—Advanced Naval Technology Exercise (U5G ANTX), at Marine Corps Base Camp Pendleton, Calif. The Android-loaded MPU5 runs a mobile ad hoc networking (MANET) algorithm that allows the radio to transmit and relay voice, video, text and sensor data in a robust, peer-to-peer fashion. In addition, the MPU5 is a 3×3 MIMO radio, enabling it to get superior range in tunnels and urban canyons. 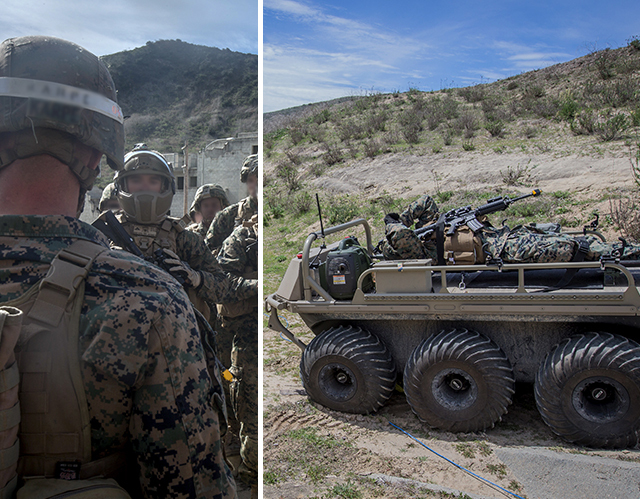 At U5G ANTX, Marines used the MPU5 for communications and situational awareness. The Second Platoon at U5G ANTX used the MPU5. And despite the radio being taken into tunnels and concrete-and-rebar buildings, the MANET held up, and the Marines were able to communicate with, and send situational awareness data to, their Combat Operations Center (COC). The MPU5 was able to connect with a legacy Harris PRC-152 radio thanks to Persistent’s radio-over-IP capability. And it used the General Dynamics Multipurpose Unmanned Tactical Transport (MUTT) vehicle in an overwatch position to extend the Second Platoon’s MANET back to the COC. Selective Availability Anti-Spoofing Module for GPS receivers. At U5G ANTX, the Marines worked with dozens of solutions to see which ones could improve their ability to engage in asymmetric warfare. Those technologies that performed well in last month’s exercise might be incorporated in ongoing, increasingly complex exercises in the future. “We look forward to getting the opportunity to come back for future U5G exercises,” Wang said. Headquartered in New York City since 2007, Persistent Systems, LLC is a global communications technology company which develops, manufactures, and integrates a patented and secure Mobile Ad Hoc Networking (MANET) system: Wave Relay®. The company’s industry leading R&D team has designed wireless networking protocols to support their cutting-edge Wave Relay® system and technology. Wave Relay® transmits and receives data, video, voice and other applications under the most difficult and unpredictable conditions. Their suite of products is field proven and utilized in Commercial, Military, Government, Industrial, Agriculture, Robotics, and Unmanned System markets. Please visit http://www.persistentsystems.com to learn more. Follow Persistent Systems on Twitter to get updates on the latest developments @pswaverelay.